The New York Cooperative Research Unit pays particular attention to the resource problems and issues of the Northeastern States with New York as its focal point. Based at Cornell University in the Department of Natural Resources, we work cooperatively within a department structure, but with the option to transcend organizational lines when the need arises. 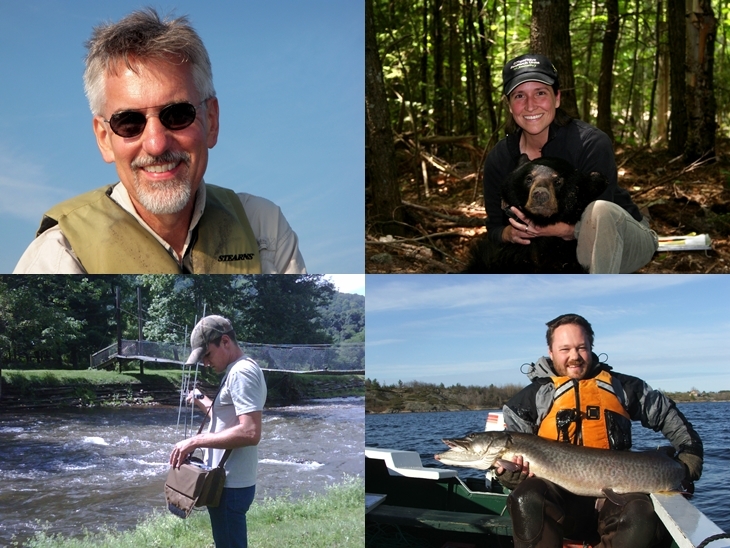 Our efforts are directed not only at maintaining productive programs in our own areas of interest, but also in seeking funds for and coordinating the planning of other research and management faculty/staff at the University and within the New York State Department of Environmental Conservation and U. S. Fish and Wildlife Service's Northeast Regional Office. In accomplishing this we are aided by a select, high quality group of graduate students and research affiliates who understand science, people, and the need to grow and produce in their specialty.